Have your skills certified through the same platform used by Walmart, Google, IKEA, Ericsson, GAP and Amazon. We deliver over 3 million online certification tests and online courses annually. 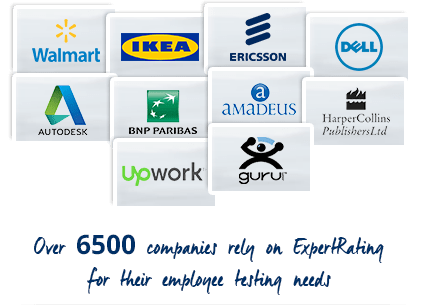 ExpertRating is a trusted name in pre employment testing services offering cutting edge employment testing solutions to business giants such as Ericsson, Fox News, Elance, Convergys, GAP and IKEA to name a few. ExpertRating is currently one of the few employee testing companies in the world to have been certified under ISO 9001-2015 for its skills testing and training systems. ExpertRating Employment Testing Solutions have been chosen by hundreds of leading employers to quickly and efficiently identify the right talent for the right positions. The U.S. Department of Labor estimates that mis-hiring a $100,000 per year manager costs the employer about $300,000. Pre employment testing has been proven time and again to be the most effective way of reducing uncertainties in hiring, no wonder that the number of companies using our Pre Employment Testing services is growing at over 100% annually with a re-order rate of more than 75%. 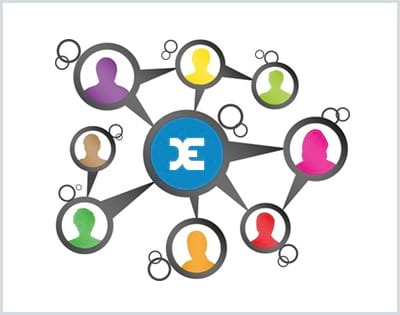 The ExpertRating employment testing system has been developed for ease of use and flexibility with respect to testing and pricing options. Employers can commence their employee testing program by simply signing up and paying a per test fee, as and when they need to test. Take a demo or start testing your employees in as little as 3 minutes. ExpertRating offers in-depth online courses, tutorials and eBooks to individuals and employers at affordable prices. The ExpertRating online learning resources have been developed under ISO 9001-2015 procedures. ExpertRating is a leader in Online Certification and Skill Testing and offers an affordable and efficient way for people to prove their expertise in over 300 widely accepted online certifications. ExpertRating certifications have been taken by over 3 million individuals in more than 60 countries annually. ExpertRating certifications are an excellent way of demonstrating your knowledge and skills to prospective employers and greatly boost your chances of moving ahead in your career. ExpertRating Online certifications are developed under ISO 9001-2015 standards and are accepted by hundreds of employers and organizations worldwide. No wonder companies like Ericsson, Fox News, GE, IKEA, Convergys and Deltek Systems are using ExpertRating to evaluate their employees. ExpertRating wins the Google SME Heroes award at a glittering award ceremony organized by Google and FICCI (Federation of Commerce and Industry) at New Delhi, India. This award has been instituted by Google to honor IT companies that have excelled in their domain and have leveraged the internet to grow and expand their businesses in innovative ways.